Bristol Trails in Lake Zurich- Why move to Bristol Trails? Bristol Trails is a wonderful single family home neighborhood in Lake Zurich. Bristol Trails of Lake Zurich features 252 homes with five floor plans ranging from approximately 1,600 to 2,150 square feet. Homes in the Bristol Trails neighborhood feed into either the District 96 or District 95 Schools depending on the particular address. Bristol Trails Park located in the Bristol Trails subdivision features an unbelievable path for biking, jogging or walking with several exercise stations positioned along the course. 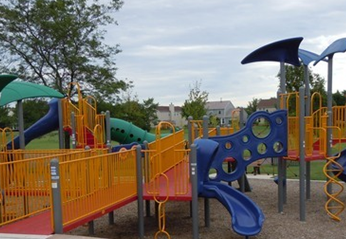 Additionally, there’s also a soccer field, basketball court, picnic table and playground equipment. At this time, there are currently no homes on the market in Bristol Trails of Lake Zurich.